All the above songs have one common thread and that is the name Gulshan Bawra. Yes, he was one who penned these melodious songs for hindi cinema. About 250 songs written by him has reached our drawing rooms in the form of good old magnetic tapes. 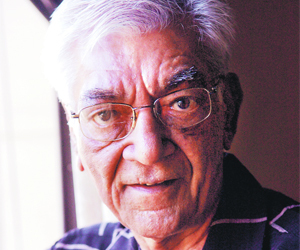 Gulshan Bawra, born in a small place near Lahore in 1937, witnessed the tragedy of loosing his father during partition. At a tender age of 8-10 he saw his mother being shot in the head & his father being attacked with swords. Eventually he managed to escape to India in a military caravan. He maintained his brave attitude even during the most trying times of life. He soon moved to Delhi & eventually to Kota for a railways job. But as luck had it, he lost that job because the vacancy was filled-in. So he moved to Mumbai where he continued his passion for writing poetry. He got his first break from Kalyanji Shah (Kalyanji-Anandji) for the movie Chandrasena . Then onwards he wrote many memorable songs for hindi cinema. 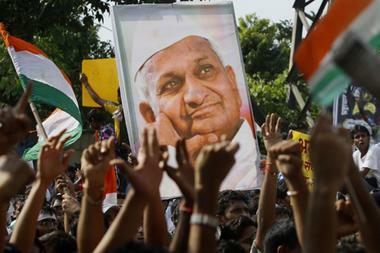 Since the Independence day of 2011, whole of India has been crippled with ANNA fever. I have been listening to the comments of many luminaries from media, bollywood, politics, etc on TV, FB, twitter, etc. I can connect with the cause of ANNA very well. Its important to have an anti-corruption bill to put an end to the thousands of crores’ of scams this nation has witnessed. The bill will bring accountability to politicians and other civil servants especially when many government officials have forgotten that they are also referred to as civil SERVANTS. The money from India will not be stashed in AC-lockers of Switzerland and find their rightful way to the development of millions of downtrodden Indians. All said and done. Does someone bother to understand the government’s point of view? The whole basis of Indian constitution has been the Indian parliament with our MPs being its major custodians. The constitution has empowered the MPs (so called elected representatives) to formulate the laws on behalf of millions of indians. Issue 1: By setting deadlines & framing laws outside the parliament, aren’t we shaking the foundation of our constitution? Issue 2: Who is Anna Hazaare? Why should government (elected by us) even bother to listen to Anna? he does not represent millions of indians. Issue 3: Suppose if the government bows down to his demand for a strong Jan Lokpal bill, will this be setting a strong example ? tomorrow some other person can come up with a blackmailing idea & start making demands to government. Is this good for our nation? I will be happy to listen to your views on this, do use the comment section generously.